A masked Ansar Jerusalem terrorist is shown standing behind four blindfolded Egyptian civilians, who were accused of being Israeli “spies.” All four were beheaded later in the same video. Ansar Jerusalem, (also known as Ansar Bayt al-Maqdis), has released a video displaying the graphic beheadings of four Egyptian civilians the group accused of being “spies” for Israel. According to Ansar Jerusalem, Israel has supposedly killed the group’s members in cross-border drone strikes launched in the Sinai, including an alleged bombing on July 23. 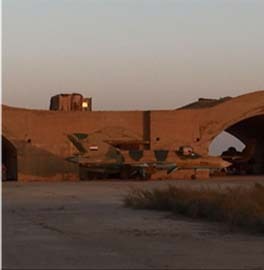 Egyptian government officials have denied Israeli involvement. The video was first released on Ansar Jerusalem’s official Twitter feed, which has since been taken down. At the beginning of the video, a masked terrorist is shown reading a statement while standing behind the four civilians, who are kneeling and blindfolded. 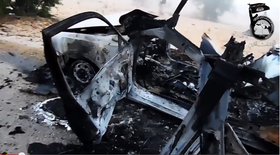 The video then cuts to images of slain Ansar Jerusalem members and a photo of a burned vehicle, which the group says was struck by an Israeli missile. 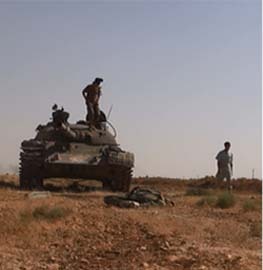 A vehicle Ansar Jersualem claims was destroyed in an Israeli airstrike. Much of the video is then devoted to showing the four men’s “confessions.” They say that they gave information to Israeli intelligence in return for payments. Their confessions are made under clear duress, and should not be accepted at face value. After the footage of the four purported confessions is aired, the video returns to the scene of the masked terrorist and others standing behind them. The men are then beheaded and their decapitated heads are placed on their corpses. In the past, Ansar Jerusalem has published videos showing members of Egyptian security forces and other alleged spies being executed. But the new video marks an escalation in the violent tactics the group is willing to broadcast in its propaganda. The video comes just over one week after the Islamic State, which claims to rule over a “caliphate” stretching over large portions of Iraq and Syria, released a video featuring the beheading of American photojournalist James Foley. Ansar Jerusalem’s own execution video is comparable to the Islamic State’s, and the group may have decided to release it after Foley’s death received so much international attention. 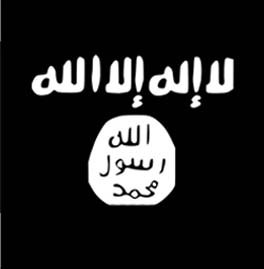 Earlier this year, an Ansar Jerusalem leader voiced his support for the Islamic State. And the Egyptian press has published rumors that Ansar Jerusalem has sworn bayat (an oath of allegiance) to Abu Bakr al Baghdadi, the Islamic State’s emir. But these rumors are, thus far, false. 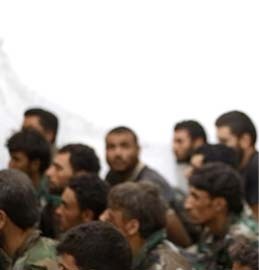 Ansar Jerusalem did not publicly endorse, let alone swear allegiance to, Baghdadi after his subordinates claimed in late June that he now rules as “Caliph Ibrahim.” It is likely that some members of Ansar Jerusalem do support the Islamic State, but the extent of that support is unclear. And there are other indications that the group is allied with al Qaeda. Al Qaeda has shied away from videos such as the ones produced by the Islamic State and now Ansar Jerusalem. 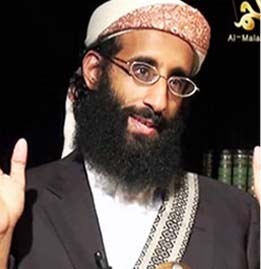 In 2005, for example, Ayman al Zawahiri wrote a letter to Abu Musab al Zarqawi, who was then the head of al Qaeda in Iraq. Zarqawi was notorious for his barbaric executions, which were recorded for the world to see. But Zawahiri argued that such tactics, while they may be justified, were counterproductive when it comes to building popular support for the jihadist ideology. Zawahiri did not argue that Zarqawi should spare his hostages; he simply didn’t want Zarqawi to carry on with his over-the-top executions, which sicken the stomachs of even potential supporters. “[W]e can kill the captives by bullet,” Zawahiri wrote, because “[t]hat would achieve that which is sought after without exposing ourselves to the questions and answering to doubts.” Simply put, Zawahiri argued, “We don’t need this.” Zawahiri comprehended that “more than half of” the jihadists’ “battle is taking place in the battlefield of the media,” and unspeakable acts of barbarism can be a liability, no matter how justifiable they are from the jihadists’ perspective. 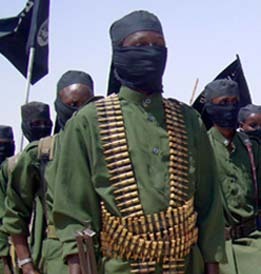 Al Qaeda and its various branches have executed hostages and they will continue to do so. In 2002, for instance, 9/11 mastermind Khalid Sheikh Mohammed beheaded Daniel Pearl, a reporter for The Wall Street Journal. And al Qaeda in the Islamic Maghreb (AQIM) has executed hostages as well. However, al Qaeda’s senior leaders do not think that graphic snuff videos are an effective means for promulgating their message. The difference in tactics can be seen in how al Qaeda has handled the captivity of Warren Weinstein, an American who has been held by the group since 2011, and the recent release of Peter Theo Curtis by the Al Nusrah Front, al Qaeda’s official branch in Syria. Earlier this month, al Qaeda released a message directed at Weinstein’s family. “We are not interested in retaining the prisoner in our protection; we are only seeking to exchange him in return for the fulfillment of our demands that we have conveyed,” the message reads. Al Qaeda did not threaten to behead Weinstein if its demands were not met. The organization encouraged Weinstein’s family to “pressurize” the American government into bartering for his release. Al Qaeda has not threatened to kill Warren Weinstein, an American who has been in the group’s custody since 2011. Al Qaeda’s message was likely inspired by the success the Taliban had in exchanging Sgt. Bowe Bergdahl for the top five Taliban commanders held at Guantanamo. 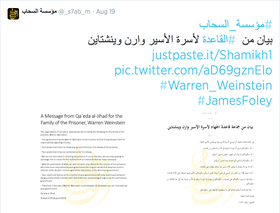 Interestingly, As Sahab, al Qaeda’s official propaganda arm, included the hashtag #JamesFoley in one tweet that featured the message to Weinstein’s family. Al Qaeda seemed to be inviting a comparison between Weinstein’s captivity and Foley’s. And just days after the Islamic State released its video of Foley’s execution, the Al Nusrah Front released Curtis from its custody. The deal to release Curtis was brokered by Qatar, which provides a permissive fundraising environment for Al Nusrah and other jihadist groups. Although the deal to free Curtis had been in the works prior to the release of the Foley execution video, the difference between Curtis’ fate and Foley’s says much about how the rival jihadist groups are approaching hostage operations. Some supporters of the Islamic State, which is at odds with Al Nusrah, have even denounced Curtis’s release on their social media accounts. I think they were just simply Egyptians kidnapped, because they were in Israeli prisons for some crimes (i.e. smuggling) and nothing else. Just saying that you were in an Israeli prison makes Islamic terrorists think that you are working for Mossad. Hence why they kill people before asking questions or any proof of evidence. Just goes to show what a 6th century educational mindset gets you…. I guess they just don’t get that we can literally watch them for days on end without ever blinking…. All we have to do is wait, and be patient, and our targets will present themselves accordingly.